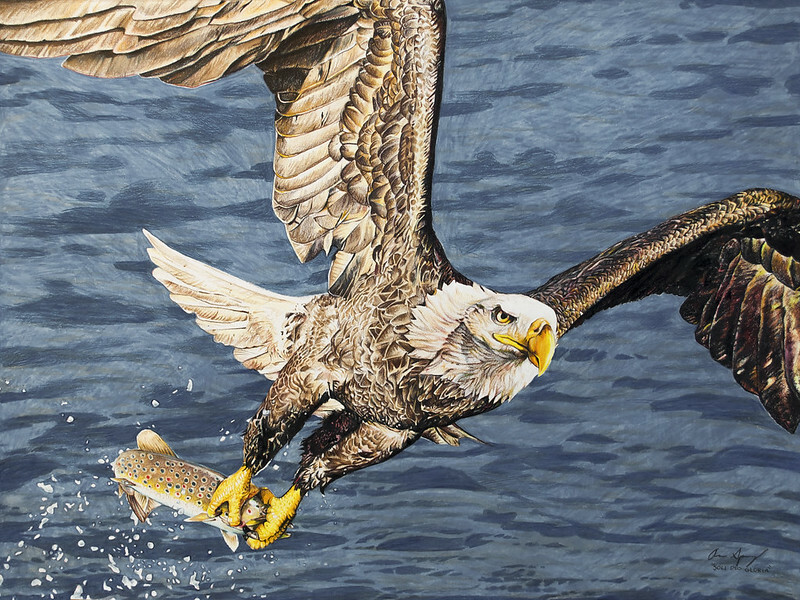 My latest work in progress is a SUPER detailed drawing of a bald eagle catching a fish. I wanted to take a break from the paintings and switch over to a medium I have much more control over. I'm finding that the eagle is going to take a bit longer than expected. Actually, this drawing is turning out to be quite painful. All the small details in each individual feather! What was I thinking? I'm pretty pleased with it, but I think I'll switch to something less involved for my next project.